the Unist'ot'en Camp doesn't reflect "the situation." 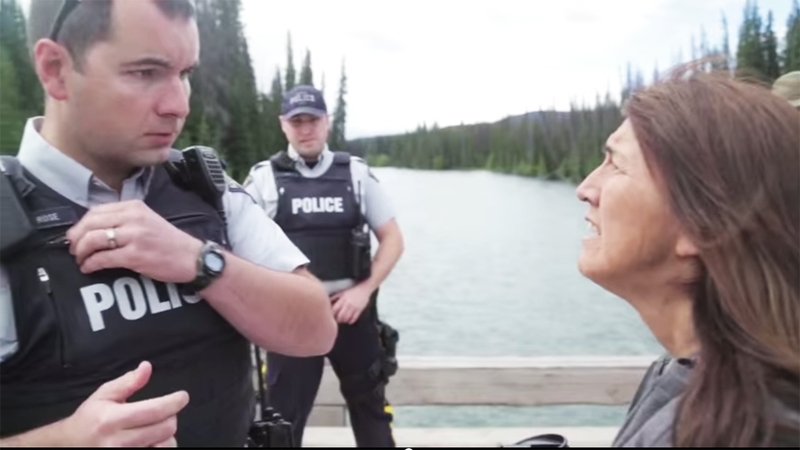 ACCESS DENIED: A still from video footage shows Houston RCMP officers requesting Unist’ot’en Camp spokesperson Freda Huson for access on July 15. When that failed, Chevron American officials tried on July 23 and got the same response. Policers officers have not directly confirmed or denied rumours of an impending raid of the Unist'ot'en Camp in northwestern B.C., which has long been on their radar for repeatedly denying the oil and gas industry access to its territory. Corporal Janelle Shoihet, a media relations officer in Surrey, said a press release issued by the Union of BC Indian Chiefs (UBCIC) outlining the "mass arrest operation" is currently under review and no police action has been taken yet. "We understand that there has been some discussions on social media that don't accurately reflect the RCMP's action or the situation," she told Vancouver Observer in an email statement. "To date, there has been no police action. It is our understanding that discussions between industry and the Wet'suwet'en are still possible." Rumours of the "mass arrest operation" outlined in the UBCIC release quickly gained traction among local leaders and activists, who discouraged police action against the peaceful residents of the Unist'ot'en Camp in any form. "We are deeply and gravely concerned to learn from a variety of sources that the RCMP appear to be on the verge of executing a highly provocative and dangerously reckless operational plan to make arrests," said the document. "We are local, national and international organizations monitoring these developments closely and we affirm that the Unist’ot’en are not alone." RCMP will have to cross Unist'ot'en checkpoints to enter the territory and make arrests. Union of BC Indian Chiefs Grand Chief Stewart Phillip said that senior RCMP officials used “deliberate language” around their intentions to go in the Unist'ot'en Camp and make arrests during a meeting with the First Nations Leadership Council on Mon. Aug. 24. He also said this meeting was preceded by phone call with RCMP about "growing concerns" with the camp's placement, contributing to theories that a raid on the Unist'ot'en residence may be coming soon. "It seems like incredibly drastic actions on the part of the RCMP," he told Vancouver Observer. "We said that there needs to be a very real effort made at negotiations as opposed to mobilizing a large force of RCMP officers moving in on a camp." Phillip said any police action against the Unist'ot'en will undoubtedly surface in an annual meeting between Premier Clark, her cabinet, and Indigenous leaders between Sept. 8 and 10. In the meantime, residents of the Unist'ot'en Camp are preparing for an imminent police shakedown. "We’re just peacefully sitting here, waiting for them to show up," said camp spokesperson Freda Huson. "That’s all we’ve been doing because we have every right to be here." The camp has not and never will approve pipeline construction on its land, said Huson, despite more than 10 proposals involving its ancestral land. Among the most controversial pipeline projects that would affect the Unist'ot'en are Enbridge Northern Gateway and Chevron's Pacific Trail Pipeline. Operation Gladio 2.0 in Europe? The recent shooting of the U.S. Consulate in Istanbul by two women who were claimed by Turkish authorities to be members of a far-left terrorist group, the Revolutionary People's Liberation Army-Front (DHKP-C), as well as a suspicious incident on a Thalys high-speed train bound for Paris from Amsterdam, indicate that the false flag operations conducted by the U.S. Central Intelligence Agency’s Cold War-era «stay behind network» known as Gladio may be back in full operation. The DHKP-C is claimed to have carried out a suicide bombing of the U.S. embassy in Ankara in 2013, an attack that killed a Turkish security guard. In that attack, a website called «The People's Cry», supposedly operated by DHKP-C, claimed that one of its members, Ecevit Sanli, carried out the suicide bombing at the embassy, which killed both Sanli and the Turkish guard. The problem with the overall claim of DHKP-C involvement was a video posted by «The People’s Cry» that was discovered by the Israeli Mossad-linked «Search for International Terrorist Entities» or «SITE», a Washington, DC-based group that has been known to distribute to the media dubious videos and communiqués purporting to be from «Al Qaeda», «the Islamic State», and other alleged Islamist terrorist groups. The alleged resurgence of DHKP-C has provided the Turkish government with cover to pound Kurdish guerrillas in eastern Turkey and instill a siege mentality among Turkish voters as the country heads into another national election that pits the Islamist-oriented government of President Recep Tayyip Erdogan against the secular opposition. Moroccan national Ayoub El Khazzani is accused of boarding a Paris-bound train in Brussels in order to launch a killing spree on passengers. Khazzani, who had in his possession an AK-47 and other weapons in a bag that he said he «found» in a Brussels park, was overpowered by three Americans and a British national. Two of the Americans who helped subdue Khazzani are members of the U.S. military, U.S. Air Force Airman Spencer Stone and Oregon National Guardsman Alek Skarlatos. The British national is Chris Norman, born in Uganda and a resident of southern France. It is believed that Khazzani, a native of Tetouan, Morocco, like so many alleged Islamist attackers in France, had traveled abroad extensively prior to committing his terrorist attack. Khazzani was a resident of Algeciras and Madrid in Spain until 2014, whereupon he took a job with the French mobile phone company Lycamobile and moved to France. Khazzani reportedly was radicalized at a mosque in Algeciras, across from the British territory of Gibraltar, where British intelligence keeps a very close eye on surrounding Spanish territory, including Algeciras. In June of this year, Khazzani was reportedly fighting alongside Islamic State guerrillas in Syria, later traveled from Antakya, Turkey to Tirana, Albania. Khazzani’s story is almost the same as the one proffered by Mehdi Nemmouche, the Franco-Algerian who is said to have attacked the Jewish Museum of Brussels. Before the Brussels attack, Nemmouche is said to have fought with the Islamic State’s forces in Syria and spent some time in Britain. After attacking the Brussels museum, Nemmouche caught an overnight bus to Marseille from Brussels. A customs check discovered Nemmouche’s bag with an AK-47, a revolver, and bullets. Nemmouche claimed after his arrest by French police that he discovered the weapons in a parked car in Brussels and stole them in order to sell them on the black market in Marseille. Khazzani claims that he intended to use the weapons he found in a Brussels park, an AK-47, a Luger pistol, a box cutter, a half-liter of gasoline, and nine magazines of ammunition to rob passengers on the Thalys train in order to buy food because he was penniless and homeless. Both Kazzani and Nemmouche were well-known to French and other European law enforcement agencies as potential threats, yet no action was taken to conduct surveillance of their activities. Before the attack on the train, Khazzani was the subject of a French police «Fiche S» or «S notice that was transmitted to various European law enforcement agencies and requested Khazzani to be placed under police special surveillance. In addition, the Spanish police had Khazzani’s DNA on file. Moreover, not only Spanish, but German and Belgian, as well as French intelligence, had fairly complete files on Khazzani prior to the attack on the Thalys train. Mohamed Merah, the Franco-Algerian who killed seven people in the Toulouse region, including three Jewish school children, in 2012, and Said and Cherif Kouachi, the Franco-Algerian brothers who attacked the offices of «Charlie Hebdo» magazine in January of this year, also had «Fiche S» and other intelligence files collected on them by French authorities. The Franco-Senegalese-Malian gunman Amedy Coulibaly, who attacked the Hyper-Cacher Jewish supermarket in Paris at the same time the Charlie Hebdo offices were attacked, was also well-known to French police and intelligence. Danish police and intelligence files also turned up the name of the alleged deadly attacker of Copenhagen’s Central Synagogue and a Danish film festival, Omar Alhamid Alhussein, a Danish national of Palestinian descent and criminal with a violent record who was released from a Danish prison just two weeks prior to the attack on the synagogue. Danish police shot and killed Alhussein after his alleged twin attacks. The Thalys train was traveling through the Oignies region in Haute Picardie, France when Khazzani was subdued by the passengers. French Interior Minister Bernard Cazeneuve immediately suggested that Khazzani was a member of a radical Islamist group.Cazeneuve also wasted no time in flying to Copenhagen right after the synagogue and film festival attacks. It was Cazeneuve who was reportedly under investigation by 45-year old French Police Commissioner Helric Fredou, the second in command of the French Judicial Police in Limoges, for links with Jeanette Bougrab. Bougrab was the so-called «girlfriend» of slain «Charlie Hebdo» editor Stephane Charbonnier or «Charb», as he was known to his colleagues. Bougrab claimed to have been Charb's girlfriend and even insinuated that he fathered her daughter. Fredou is said to have committed suicide at the height of his investigation of a link between Bougrab and Cazeneuve. Fredou is said to have shot himself in the head after becoming despondent after meeting the family of one of victims of the French attacks. However, Fredou's family and friends discounted reports that Fredou was depressed. Furthermore, they pointed out that he had cracked open a major lead in the terrorist attacks a move that placed him at loggerheads with Cazeneuve. 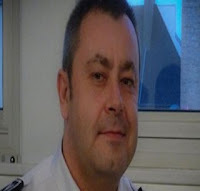 According to French news reports, Fredou had Cazeneuve under suspicion since the police commissioner's days as Cherbourg police «commissaire». Cazeneuve has been mayor of the town of Cherbourg-Octeville since 2001 and it was during his time as police commissioner that Fredou first became aware of Cazeneuve's links with Mossad and his relationship with Bougrab and her cabal of anti-Muslim provocateurs. The re-introduction of Gladio on the European political scene is in response to growing hostility to the European Union and austerity dictates by European central bankers. The corporatists and fascists who have steered Europe into bankruptcy are now using their media assets to morph their favorite threat over the last two decades - Islamist terrorism - to a combined menace of Islamist terrorists teamed up with an international network of anarchists. In Greece, Italy, Turkey, and Spain there are signs that the paradigm shift from Islamist terrorism to leftist anarchism is already occurring, with highly-suspicious and likely false flag bombings taking place at embassies and other facilities. The media will step up planted stories designed to link «anarchists» to «Jihadists». After the Thalys train incident in Brussels, Cazeneuve and his friend, the anti-Muslim and right-wing Socialist French Prime Minister Manuel Valls, are calling for airport-style security checks at European train stations. The end-game is for the European Union to exercise increased political and social control over the peoples of the continent. It is noteworthy that the rise of previously unknown «anarchist» groups is occurring in the very same countries where Gladio’s operations were most extensive: Italy, Turkey, and Greece. 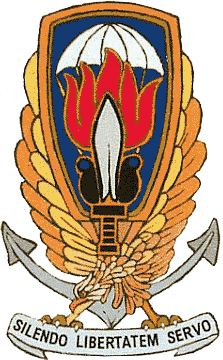 Italy was the nexus for «Organazzizione Gladio», the Italian branch of the pan-European CIA-led terrorist operations. In Turkey, Gladio was known as «Ergenekon» and in Greece, the Gladio operations were known as «Operation Sheepskin». As long as Gladio is back in operation in Europe, the people of the continent should be afraid, in fact, they should be very afraid. A subway car full of New Yorkers watched in stunned disbelief as the four Scandinavian cops, all in civvies and unarmed, leapt into action . They used non-lethal techniques to pin the two combatants without hurting either one and then began trying to talk them down, calmly, never raising their voices, and avoiding any swearing or verbal abuse. Neither man was hit by any of the officers despite their struggling. As the Swedish cops waited for New York’s Finest to arrive, they gently rubbed and patted the distressed captives and spoke to them reassuringly. It was not the way that situation would likely have gone down had it been four off-duty New York cops in that car. First of all, they would almost certainly have had guns on them. Second, they would have been shouting and upping the tension level. Third, they might well have applied choke-holds instead of arm restraints, and would have had the men pinned face down, with knees in their backs. Quite possibly punches would have been thrown along with kicks and stomping in a gang-banging frenzy. Given the history of prior such incidents, it’s conceivable that shots might even have been fired, and that passengers could have been hit by stray police bullets (as happened in a Times Square incident not long ago). One or both of the fighters might well have been injured or even killed. Instead a violent incident was peacefully halted...incredibly with nobody hurt. That’s how policing is done in much of Europe, where police shootings are almost unheard of . It’s how it should be done here. 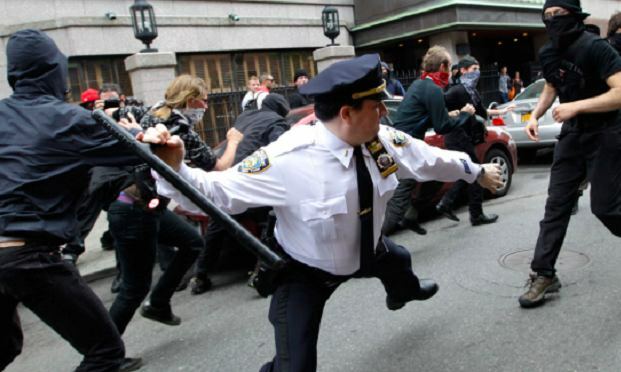 America is infested with police, and instead of responding to emergencies, they spend a lot of their time, from what I can observe, just looking for things to bust people for. Laws that can get people arrested have proliferated over the past few decades so fast  that today most of us are probably breaking laws every day that we don’t even know are on the books. This country is so over-policed that departments are thinking up ways to keep busy by spying on us, and they’re using tax money and confiscated cash to buy fancy new toys, from “Stingray” mobile phone taps to drones  (including armed drones), that will help them do it. But it’s not just that. Cities and communities are hiring people as police officers who are not fit to be public servants. Many are bullies and have mental problems that lead them to resort to violent confrontation instead of negotiated solutions . They are also people who tend to turn quickly to using a gun or a taser when they feel threatened or even disrespected. Think about the other major category of uniformed public employee: firefighters. Here we have people who have signed up, and often literally volunteered to do probably the most dangerous job that a person can do: running into burning buildings that could collapse at any moment in order to rescue someone who might be in there, and if so, might still be alive. I witnessed this kind of action once when I lived in an apartment in New York. We lived on the 11th floor of a large fireproof building of 17 stories. One day, there was an alarm and fire trucks rushed onto the street. Looking out my living window, I saw thick black smoke and flames pouring out of an apartment about five stories below and to the right of mine. Fire fighters were rushing into the front door of the building. I raced down the stairs to the floor of the fire, and went into the hall, rushing down to the door of the burning apartment, which was metal, but had paint blistering paint on it from the heat of the fire inside. At that moment two firefighters -- both large men in full gear with compressed air tanks on their backs and cans of fire retardant in hand came around the corner after having climbed the stairs. They told me to get away, and then walked up to the door. Without even stopping to think -- or say a prayer -- one guy just kicked hard on the door and busted it wide open. 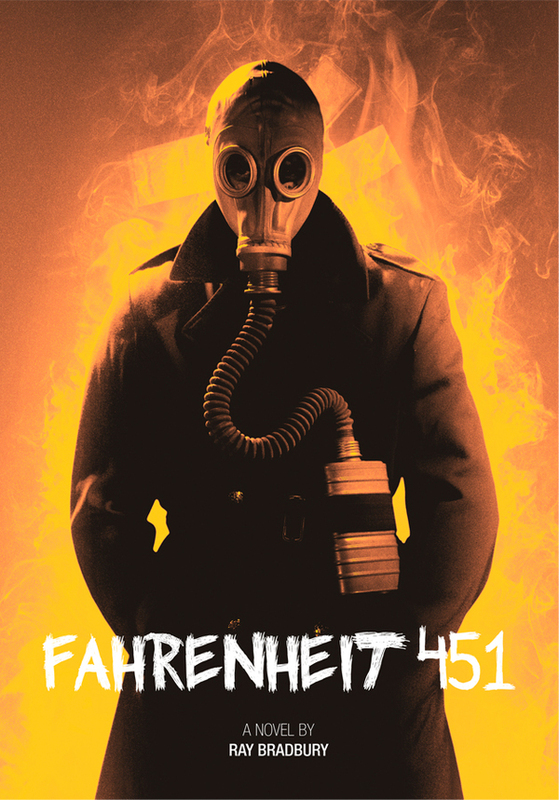 Smoke, flames and heat roared out at them and yet, to my astonishment, they just rushed in together into that inferno. As it turned out, nobody was in the two-room apartment, and the two men came back out. The fire was extinguished with hoses that sprayed in through the windows from the outside and it was quickly all over. Those two firemen certainly had to have “felt threatened” as they contemplated, however briefly, busting down that door with its bubbling paint and then rushed into the darkness and smoke of the apartment in search of someone in need of rescuing. Yet they didn’t hold back and wait for the trucks outside to douse the fire. They went in. Why are firefighters willing to put their lives at risk to save people (even black ones! ), while so many cops, with their body armor and their guns, are so quick to shoot to kill people that they imagine might be intending to harm them? Why do we as a society expect our firefighters to put their lives on the line to save us without a thought for themselves, but just shrug when cops, instead of putting their lives on the line to defuse situations involving drunken or mentally ill, or otherwise disturbed or possibly suicidal people, just take out their guns and blow such people away? I’m not saying that there may not be cases where a police officer has no alternative but to shoot someone (although shoot-to-kill policies in place at most departments  are an outrage that makes such killings much more likely), and I’m not saying that there aren’t cops who have the same courage and compassion as firefighters, but most of the cases we’re seeing lately are showing the opposite. Shooting a fleeing man in the back, as happened in Charleston South Carolina, or choking a man to death for being uncooperative during a bust for selling cigarettes illegally, or driving up to a 12-year-old kid with a toy gun who is sitting calmly on a park bench and shooting him immediately upon exiting the car, or tossing a stun grenade through a window into a house with kids in it and killing a baby are not examples of restraint or even of a willingness to take risk to save others' lives. Two weekends ago I was just driving through the upstate town of Walton in New York, where there was a county fair underway. A guy, clearly a part-time or off-duty cop judging by his unruly facial hair, was directing traffic to the fairground on Main Street. He was dressed in civilian clothes, with a yellow reflecting vest that said “Police”. Although he was simply directing traffic, he had a pistol holstered prominently on his belt. I found myself wondering, “Why in the hell does this guy need a gun to direct traffic?” And indeed, in Europe or the UK he would not have been wearing one. Because he was packing though, if there were some incident involving a driver doing something wrong, and if that incident involved a black driver, the gun could easily have come into play. That’s just nuts, but it’s the norm in the US. We need to change that. What we need is to have the same kind of people who apply to be firefighters applying to be cops -- people who are ready to put their own lives on the line to save others’ lives, not to take them. We need real heroes and real public servants, in other words, and not overlords, bullies and thugs who want to strut their guns, tasers, clubs, fists and cuffs. If we had cops who were more like firefighters, we wouldn’t be talking about requiring them to wear bodycams. Thistledown Farm - Just two days before our Sharing the Fire gathering of writers is scheduled to begin at Thistledown Farm B&B in Cedar, BC, bureaucrats from the Regional District of Nanaimo have threatened to shut it down. The event involves about a dozen writers and artists gathering for three days (August 28-30) to discuss creative approaches to ecological and societal problems. Five of us have been planning this event for a year. Some participants are travelling from as far away as Whitehorse, Toronto, and the United States to participate. Regional District employees seem to think that a dozen writers getting together for a creative think-tank on private property is illegal. They have threatened to seek an injunction to bar the pre-registered guests from gathering this weekend at Thistledown Farm. What will these bureaucrats next decide is illegal, dinner parties in one’s own home? The gathering will, of course, proceed. It is not illegal for writers to meet in Canada. Perhaps the RDN bureaucrats are thinking they exist in some other era or some other country. If the RDN bureaucrats wish to dress up as jack-booted fascists and come kick the door down and haul away a dozen authors, perhaps they should wait until Halloween so we can give them some candy and send them on their way. CEDAR, BC – Threatening to seek an injunction, and to prevent future gatherings, lawyers for the Regional District of Nanaimo couriered Cedar farm owners today, giving them until 4pm to shutdown a planned writers and artisans retreat for this weekend. Just under the deadline the owners replied, denying they were breaching any rules, and questioning the RDN’s selective application of vague and dated by-laws to stop a dozen writers, poets and artisans from coming to Nanaimo. Since Monday RDN emails have repeatedly stated that rules against “public assembly” and camping on private property are sufficient reason to prevent the visiting writers from spending a quiet weekend on the farm – but the property owners don’t understand what the problem is. “If the RDN wants to claim North America’s ‘Fahrenheit 451’ reputation then this is the way to do it,” said Laurie Gourlay, one of the farm’s owners. Thistledown Farm is a 20-acre working farm and registered B&B, with membership in the Ladysmith & Area Accommodations Association. The farm advertises through the Nanaimo Economic Development Commission’s Tourism Nanaimo brochure, and supports efforts by Tourism VI to build interest in the area as a destination for ‘super, natural BC’ vacations. “We like to share the property with people who care about nature and local agriculture,” says Jackie Moad, who divides her time between being an RN and being a farmer. It seems impossible ten years have passed since the storm that sank New Orleans. Everything seemed impossible then; the casual neglect of the warning signs, and failure of the federal government to respond; the horror of realization at the nature of that belated response when it did finally come. In a record year of tropical storm warnings in Florida, many in southern Florida took the approaching Katrina casually. But, what came ashore, killing several people and wreaking havoc with the state's power grid, was no mild blow. The storm now dubbed, "Little Andrew," in reference to the worst hurricane event in the state, has Floridians picking up the pieces, more than a million of them in the dark, and asking, "How the hurricane savvy locals could be taken by surprise?" Many, expecting tropical storm Katrina to come and go as benignly as the ten T.S. category events preceding it this year, didn't bother to prepare. Jaded storm veterans, though well equipped with the usual disaster kits, failed to shutter homes, or secure outdoor material possessions. There were none of the familiar hardware store stampedes, or laying in of water and canned goods. What they didn't realize was, Katrina's pass over the warm waters of the Gulf of Mexico magnified its power enough to upgrade it to an official hurricane; a hurricane heading straight for south Florida and its unofficial capital city, Miami and its three million inhabitants. For those in the city receiving news of Katrina's promotion to Class 1 Hurricane status was not a big deal; the city survived Class 5 Andrew and its 200 mile an hour winds ruffled but shaken. But, Katrina's nature was wholly different from the rampaging Andrew, that killed 67 and created more than 26 billion dollars worth of damage claims in 1992. This was a slow moving system, heavily laden with the oily waters of the Gulf. Where Andrew raced across the city and state, Katrina lingered, dumping more than twenty inches (500 centimeters) in just six hours. The torrential rain and high wind brought down trees and power lines. Almost a third of Miami lost power. The National Hurricane Center in West Miami had a front row seat, Katrina's eye passing directly over their building. Said one scientist working in the building at the time; "We have monitored scores of hurricanes here, but never been this close," said one scientist. In 1992, Hurricane Andrew tore off the building's storm shutters and forced its temporary evacuation. Chris Cook hosts Gorilla Radio, a weekly public affairs program, broad/webcast from the University of Victoria, Canada. He also serves as contributing editor to PEJ News. You can check out the GR Blog here. Well known to any familiar with disaster relief, the "Golden 72 Hours" refers to the timeline where catastrophe becomes desolation. Over the first 72 of the unprecedented natural destruction reaped against the continental U.S. the federal infrastructure did nothing. While the leader of the nation strummed guitar in San Diego, sneaking in a round of golf on Wednesday, the message to "Outre" Americans was: "You're on Your Own." This lame abandonment comes after the billions of dollars diverted in recent years to the military and Homeland Defense, and drastic cuts to budgets requested for the shoring up of the city's defensive network of levees. Now, with roving gangs, reportedly heavily armed thanks to the easy availabilty of firearms at such family centered vendors as WalMart, and tough talk coming from governing figures in the form of deployments of "Shoot-to-Kill" National Guard troops to curb looting and lawlessness, an impression of impending calamity none of the "pundocracy" wish to examine, per se a race/class war in America, is poised to leap across the country. New Orleans is one of America's "majority black" cities. Wealth disparity and high unemployment levels make the tourist Mecca a poster child of all that's worst about the emerging economic order of America in the 21st century. But, the disaster unfolding in Louisiana cannot be looked at solely through an economics lens. Just across the waters in Cuba, a country economically ravaged by serial illegalities on the part of the United States, where they too were hit by the Katrina, more than a million Cubans were safely evacuated beforehand. There, in a nation driven to its economic knees for decades, they still managed to care for the people. But, this is really an expression of intent. The Cubans, unlike those ruling today's America, believed it the duty of government to pursue the well-being of the people. Clearly this is a concept the illegitimate leadership currently ensconced in Washington, D.C. today do not share. The ragged and off-colour survivors of Katrina, not provided an avenue for escape before the fact, denigrated by the press for their shiftless determination to disobey evac. orders, are now threatened with a Fallujah-like assault. One politico apologist even managed to recycle the language uttered by U.S. military flacks prior to one of the horrendous "shoot-to-kill" assaults on the Iraqi city of Fallujah said those remaining in the city are "the worst of the worst." So, is an 'American Fallujah" to be expected next? "Will this horror serve as catalyst for further examinations of America's policies at home, and abroad? Yesterday, the Bush administration requested the North Atlantic Treaty Organization (NATO) provide aid to the stricken Mississippi delta region. As with the rest of this incredible spectacle unfolding in the aftermath of the killer hurricane, Katrina this belated move by Bush has a queer ring. Neglecting to respond to numerous offers from around the world these painful past days, and actually "deporting" a foreign rescue team of the highest calibre, what's now thought required by the White House is military reinforcements, drawn from allies. The military hue to the Bush "relief" operation in Louisiana gets greener by the moment. And, there's an even more macabre side to this fiasco. While refusing an offer of doctors and nurses from less politically incorrect Thailand, the dispatch of coroners and forensic experts from the far off nation was welcomed. That be just prudent planning, finally, on the part of the official responders to the unprecedented calamity. After snubbing offers of the usual types of assistance from Poland, Denmark, (Sweden), Cuba, Venezuela, and a host of nations too minor to merit, the need for legions to deal with the dead is the most sensible thing done by this baffling band of buffoons yet. Nato Land forces up to Brigade size. Command and Control capabilities and Air assets capable of carrying out and supporting up to 200 combat sorties daily. It is expected that such a force will number roughly 21,000 personnel. Those forensic experts are really going to have their hands full! You see, the remaining citizens of New Orleans are not quite dead, yet. But they number in the thousands; thousands living under Falluja-like conditions of deprivation, curfews, and harassment by heavily armed police, National Guard, reputed "contractors," and various military and State agency enforcers patrolling their neighbourhoods. Add to that mix willing coalition of foreign military forces and the analogy is complete. Already, the corporate press is working overtime, in tandem with their erstwhile Iraq embed partners in the Pentagon to paint a picture of those American citizens too afraid, or mule-headed to leave, as the dregs of society, not worthy of concern. The administration has also attempted, with near complete success, to pull the plug on differing versions of the reality of the situation that may emanate from "unapproved" sources through intimidation of journalists trying to stay in, or get into the city. And, the language used to refer to this draconian turn of events through the usual media mouthers is eerily identical to the talk we've heard so often before, if only directed at the distant "others" facing this treatment, and worse. According to history, the curse of empire is always an imposition of the cruelty and barbarity meted on the reluctant citizens of its distant colonies and outposts coming home with equal force to be landed upon the heads of its own. This is generally during the final desperate throws of its power. One can only hope, the desperate men running the Hell on Wheels show that has been America's recent history are not so determined that they would launch similar "aid" models to other cities following natural, or otherwise disaster. Chris Cook hosts Gorilla Radio, broad/webcast from the University of Victoria. He also serves as a contributing editor at PEJ News. You can check out the GR Blog here. Following what has become the worst natural disaster in U.S. history, many have sought answers to the serial failures at all levels of government that magnified Katrina's devastation. Fingers have been pointed, and at least one mid-level bureaucrat has been axed, but none 'til now has correctly identified the true culprit behind this, and the 9/11 attacks. There are powerful forces at work in today's American; devious, perverse entities that seek nothing less than the destruction of the soul of the nation. Chief among these conspirators is the deceptively benign sounding Academy of Television Arts and Sciences. Their machinations are, incredibly, at the heart of America's twin disasters. In 2001, just weeks before the infamous September attack against the nation, the ATAS announced the emcee of their annual awards gala; it was to prove a fateful decision. The Academy chose as their presenter, against the dictates of decency and decorum, the celebrated sexual deviant, Ellen Degeneres. In so choosing Degeneres, the unapologetic lesbian television star, the Academy doomed New York City, the venue of the Godless Bacchanalia that is the Emmy's. Flaunted, God reached down to Earth, and through the instruments of religious fanatics, struck a terrible warning in the form of flame and ruin. HIS message is clear: God don't tolerate lesbos! But the twisted ATAS defied HIM, and this year again elected Degeneres to host the Emmy Awards, thus dooming the host's hometown, New Orleans. Yes, if we wish to discover the true origin of this double blow to America, we need look no further than Ellen Degeneres and the degenerate Academy of Television Arts and Sciences. Mindless of the anger her wanton girl-on-girl lifestyle provokes in the Almighty, Hollywood, through its promotion of Ellen's talk show, thus heightening of her television profile in 2003, just so happens to coincide with America's unprovoked and illegal war and occupation of Iraq, and the gathering strength of the insurgency! There's a lot of Hell being paid by good Americans because of one Ellen Degeneres. Yet, she remains silent, neither accepting, or even acknowledging her culpability. 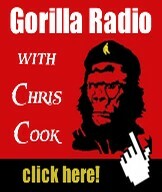 Chris Cook hosts Gorilla Radio, a weekly public affairs program, broad/webcast from the University of Victoria, Canada. He also serves as a contributing editor to PEJ News. You can check out the GR Blog here. Who Are You, Mr. Brown? Brown's appointment in to succeed his Federal Emergency Management Agency boss and Bush crony, Joe Allbaugh in 2003 seemed a no-brainer to most casual observors. The Number Two at the agency would make an easy appointment, passed over the beltway with a yawn. So, who's paying attention to minor details like qualifications, work record, and all those annoying details the unconnected hoi polloi are forced to endure to secure a job? But "Brownie," as "Dubya" would have, ain't little people. In fact, he thinks Brown is doing great work! And, as he picked the guy in the first place, Bush knows he's qualified. TIME's Daren Fonda and Rita Healy looked a little deeper into the bona fides of the lawyer and former Horse Show circuit luminary and came up with some things Brown would likely prefer left in the paddock. It turns out, of the several versions of his resume and official bio information, the one that landed him the deputy chief gig at FEMA, his staircase to the top, was a little more manure than hay. Not that his conflation amounted to much anyway. Touting Brown as formerly "overseeing the emergency services division" for the bedroom community of Edmond, Oklahoma, while a student at Central State University. His Assistant City Manager job is a position described as more resembling a "internship" than leadership role, according to the city's current PR head, Claudia Deakins. But, to his credit, his former boss, city manager Bill Dashner claims Brown was a good worker who was punctual and, "always had on a suit and a starched, white shirt." Dashner further praises his administrative assistant as a "loyal" aide who wrote speeches for him. Basically a communications guy who had a way with words and could type. Fair enough. Hardly damning stuff. But, "Mike" has accused TIME's story, through FEMA's public affairs officer Nicol Andrews, of inacuracy. She says, he says, "a large portion is very inacurate." Lawyer Brown list among his accomplishments at FindLaw.com, a professional web listing site, TIME reports the curious entry, "Outstanding Political Science Professor, Central State University." While Central State lists him as a former student, there's no record of his professorial "achievements." In fact, U. of Central Oklahoma, the former Central State, lists Brown as having studied there, and may perhaps, according to Charles Johnson of the University Relations office, have served as an "adjunct professor," something less than a professor. As far Mike's self-proclaimed scholastic position, former poli-sci professor at Central, Carl Reherman says Brown was never a member of the faculty. Brown claims the FindLaw listing is wrong, and that he never claimed to be on Central's faculty, but was instead an adjunct professor at Oklahoma City School of Law and his "Outstanding" citation was earned as a "senior" at Central. Mistakes happen. But, according to FindLaw, mistakes seem to be the hallmark of Mr. Brown's incredible career that culminates at the apex of the colossal government agency. They also list him as a director of the Oklahoma Christian Home. Administrators however have no recollection of him; not in the claimed twenty-plus year association with them. Jumping to Brown's defense, Andrew's says he "never claimed to be the director of the home; something neither TIME, nor FindLaw asserted. But, she reiterates his claim as having served "on the board directors, or governors of the nursing home." It's a claim a long-time employee refutes, saying Brown "was never director here, was never on the board of directors, was never executive director. Adding, "He was never here in anycapacity. I never heard his name mentioned here." Even Brown's much quoted connection with the International Arabian Horse Association now seems murky. The FindLaw profile citing that relationship was deleted today. There had been a media debate as to whether he had resigned his position with the horse breeders under pressure, or been fired outright. Now, he seems to have become something of a spectre there too. At best, government response to the disaster in Louisiana represents a catastrophic systems breakdown rivalling 9/11. There's plenty of blame to spread around here, and it seems unlikely none will walk the plank this time, and the sharks are already circling for Mr. Brown. Chris Cook host Gorilla Radio, broad/webcast from the University of Victoria, Canada. He also serves as a contributing editor at PEJ News. You can check out the GR Blog here. The weathermensch predict hurricanes a-plenty for the Gulf this year, some saying New Orleans is the dead-on favourite for another hurricane hit; but, they won't predict of what size. Devastating Katrina has broken the bottle, and now all bets are off. Some worry, the lack of concrete progress made in the rebirthing of the 'Big Easy' over the last nine months leaves it vulnerable again to failing levees, and failing governments: Ray Nagin's failure to fail to win re-election aside. "Never - 10 will get you five." And, when will the real murder weapon be identified? We know, those who shun gloves in summer for no need of protecting their knuckles a-tarmac scrapings, as they scuttle their mindless way through existence, 'Climate Change' defined the colossal parameters of Katrina's power. We know, nothing has been achieved in the interim to lessen the theorized meterological effects seen last year. In fact, the opposite is true. The citizens of the Gulf, some who have seen their 'Hurricane Insurance' balloon, depending on the proximity of the ocean, or rivers, or lakes, to their property, triple, and more over the last year are no better protected today than last year. 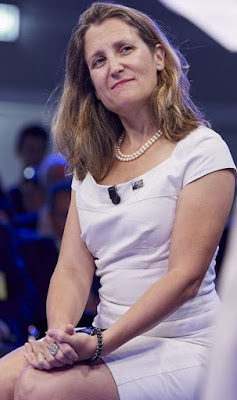 Listening to lefties and greenies on enviromental issues is one thing easily dismissed in the press and around the water cooler, but these buttoned down, corporate loyalists are putting the money where only the politics exist, and selling short. The Stanley Cup Playoffs are in full flower North of the border. While the nation witnesses this year's glories on the diminishing ice, and listen to 'Don' Don Cherry, the Mafia-esquely dressed clown giving praise the Canadian soldiers' march to empire, ignoring "new marching orders" issued those "heroes" from another capitol, as the world grows a little warmer. And, so for war be damned; it's the Finals! God, She must laugh. The Mistress of Irony. Laid out plain as day before eyes too blind to see, a killing joke. And, it seems such with this year's Cup finalists: the Carolina Hurricanes v. the Emdonton "Oil Town" Oilers. There is a titanic battle to come. Hard combatants, determined they vie for the ultimate trophy. June 6th, Lord Stanley's Cup will again be placed in the middle of the ring. And, this year, the vyers will be: the Edmonton's Oilers v. the Carolina's Hurricanes. 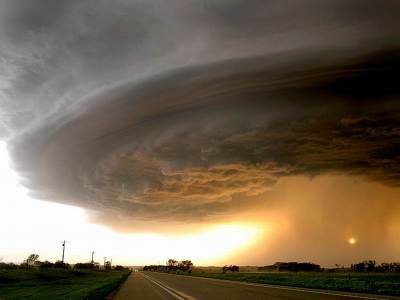 My money is on storms to come.